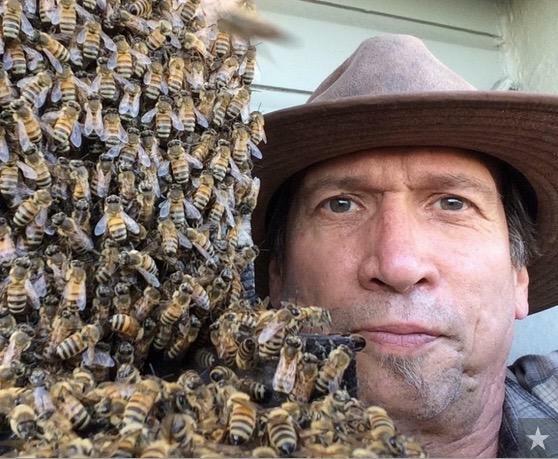 A loan of $5,000 helped me to expand my bee livestock numbers to fulfill pollination contracts for several organic farms, while still bringing unique micro-climate honeys to several outstanding farmers' markets in San Francisco. My great grandparents all immigrated to this country at the end of the 19th Century, and did whatever it took to establish new lives, eking out success. My generation slowly moved away from those roots, with university educations becoming commonplace, and though I only had one foot in an agricultural setting while growing up, I eventually transitioned to being city-based. Imagine the deep pleasure when my answer to our greatest recent financial instability in 2009 was to become a farmer in the city! Becoming a full time professional beekeeper remains remarkably fulfilling. Bees are worthy of my life's final devotion, and it takes a lifetime to become good at bees. It will help an entrepreneur purchase more honey bee livestock. My work as a photographer, museum curator, and high tech worker had been battered by recessions over many years. In 2009, the Great Recession took away many people's stability, mine included, but having kept bees successfully for over a dozen years at that point, several new farmers' markets were opening up, and it seemed like there was an obvious opportunity to become a creative agricultural entrepreneur. In June 2009, I started selling honey near Golden Gate Park, and I have continued to provide honey to that market for more than 400 Sundays in a row. I now sell at four farmers' markets, two of them at San Francisco's historic Ferry Plaza location. Placing beehives in private backyards all over San Francisco, I am able to bring a different neighborhood micro-climate honey each week. The hills and valleys of the Bay Area create different climates, which support different flowering plants, each with their own distinctive nectar. The combination of each location creates a symphony for the taste buds instead of the ear drums. Being a local farmer, and producing food for one's own community is a powerful and appreciated identity. Thanks to generous Kiva supporters, last year resulted in remarkable new opportunities. Given the quality of my City Bees honeys, I was invited to be a new vendor at CUESA's Ferry Plaza Farmers' Market, among the most prestigious markets in the country. While there, I have developed new working relationships with fellow farmers, and at the beginning of 2018, was able to take my bees to California's Central Valley for pollination of almond trees. Organic farmers are safer for the bees, being far from pesticides, fungicides, and herbicides, with their deadly floculants. I shook hands, in the old fashioned business way, saying that I would increase my hives to pollinate all of this farmer's 50 acres next year. I also have two organic apple farms who will utilize these bees for pollination after the almond pollination. Having all the beehive equipment necessary, I plan to use the funds for a very straightforward purchase of honeybee livestock. $5000 will pay for: 125 deep brood frames @ $20 each, and 125 additional pounds of bulk bees @$20 each. This allows the creation of 50 strong startup hives, and 25 smaller Nucleus growth hives. A frame of brood is comb filled with bees in the cocoon stage. My production of specialized queen bees allows me to pluck frames of brood for small hive startup as colony growth progresses.